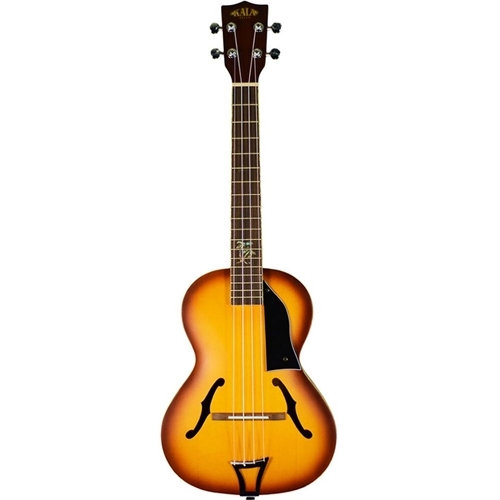 Kala's Signature Tenor Ukulele has a beautiful Archtop/Archback design with classic F-holes. Fitted with a spruce top and Mahogany back and sides, this instrument resonates with a warm, mellow sound. The uke is trimmed with white pearloid binding around the body and fretboard. A stylish Mother of Pearl Palm Tree inlay decorates the fingerboard.